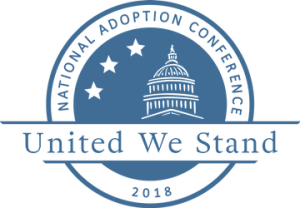 This past week in Washington, DC at the National Adoption Conference was unlike any other experience or opportunity I have ever had. Being chosen to speak at a break-out session on the Donna K. Evans Foundation my husband and I are building in memory of my biological mother and for every woman who has or will choose to walk the same journey, was a gift like no other. Our time to speak was during a breakout session, which was scheduled on Friday morning, the last day of the conference. It literally rained all day, every day the entire week, so after each day concluded there was no temptation to site-see. However, the rain did give us an opportunity to relax, unwind and prepare for the following day. It also gave us time to review, revise, and update our presentation. The thirty minutes prior to walking up to the podium, I knew that the moment was fast approaching and after watching one amazing breakout group after another. I was reassured that we were absolutely in the right place, at the right time, in the right forum. 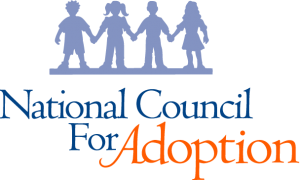 Reuniting with colleagues, who have supported our grassroots endeavor, renewed our confidence in the belief of acceptance on behalf of adoption advocates. Meeting new colleagues and discovering the common thread of adoption was life changing. Seeing the excitement of new adoption social workers and anticipating what exciting new ideas and changes they may bring to the adoption world was overwhelming. I have always been incredibly proud of my biological mother, awed by her courage and strength. I felt that the moment was now, where I needed to show to myself and every person standing before us, that I, too, was given that same gift of strength and courage. Looking at my husband, seeing him smile and take a deep breath, together we waked into the symposium together and walked up to the podium. Since we had decided prior, who was going to speak on which topic, both of us went into our element, found our groove and set out what we planned to do: to take my mother’s most defining moment, her legacy, and show each and every person how and why adoption needs to change, where we as adoption professionals need to change what we are providing, and lastly how to accomplish this goal. Through my adoption story, pictures, and a full presentation of how adoption aftercare services for birth mother are obtainable and necessary, I believe we accomplished what we set out to do. I genuinely believe for that one hour, my mother, herself, was present in that room with us. My husband spoke unlike I have ever heard him speak about the need for change and his unfettered motivation to see our mission through. For one hour, we were able to speak about how all women matter; how women don’t stop being mothers, sisters, daughters, or members of society after they place their baby for adoption. We were able to substantiate through theories and system models how a mother placing her baby for adoption is traumatic and assistance with grief and healing must be provided. Through the video usage of our Donna K. Evans Foundation testimonials, we were able to show the differences that can and have been made; why aftercare can no longer be an option, but a necessity; and the bar on the current standard level of care for birth mothers after placement must be lifted. I will always maintain that every person has been given free will, but not every person is given the same opportunities in life. Without the support of colleagues, the donations of supporters, and the belief in change, there can be no other way of leveling the playing field for some that may not have been as blessed in life as others. The opportunity of speaking on our life’s passion, we were given the opportunity to share everything we have learned in developing and establishing our birth mother after-care program. Additionally, we were given the chance to speak on behalf of women who may not have the opportunity or ability to speak for themselves about what they need to heal, grieve and achieve their own goals. Seeing the hundreds of people at this week’s conference and their passion for adoption gave me so much peace, hope, and love that people still believe that all lives matter. That the life of one woman, born in Williamson, West Virginia in 1956, can continue to be preserved after her death. Through the life of Donna K. Evans, lives can be motivated to change, even at the cost of her own and those that hurt around her. My mother can be remembered as a hero; selfless and strong, rather than a woman with a self-perceived shameful secret. Why Volunteers Matter & Where Are You?